4 Star Trim Castle Hotel's breathtaking views and contemporary elegance are the first thing that you will notice throughout your stay in County Meath and the Boyne Valley. 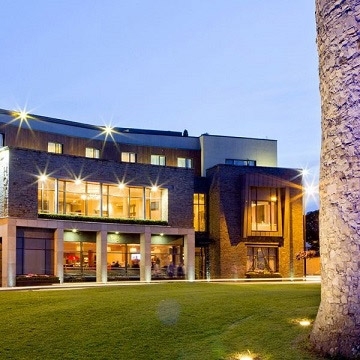 Trim Castle Hotel is a beautifully appointed 4 star hotel, in Trim, County Meath, Ireland offering luxury accommodation, and wonderful eateries in the Heritage town of Trim, Co. Meath. When it comes to hotels in Meath or event hotels in Trim this 4 star Meath Hotel, Ireland is perfect. Located only 40 minutes from Dublin City Centre and Dublin Airport. The location of Trim, County Meath will capture the imagination of every visitor and is a perfect retreat for relaxation offering elements of Ireland's History that are truly inspirational. With Four of the Best Irish Golf Courses in Ireland located nearby, magnificent views, wonderful restaurants, heritage tours and a town centre location, This Trim Hotel, completes the picture for a perfect Wedding, Conference, Exhibition, Party Celebration, Romantic Weekend, Hen Party, Family Holiday or Golfing Vacation in County Meath, Ireland.